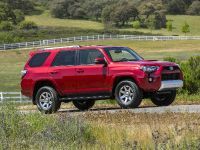 The next-generation 2014 Toyota 4Runner mid-size SUV that has been teased exactly ten days ago, has just been unveiled to the general public. 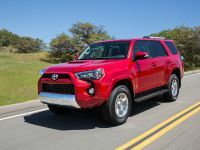 The fifth-generation redesigned 4Runner shows-off rugged new exterior design, and interior refinements that deliver enhanced comfort and convenience without sacrifices on the performance capability and excellent value. The rugged body-on-frame construction along with the comprehensive suspension technology delivers optimal off-road capability with a smooth ride and comfort. This Toyota model is available in three grades: a well-equipped, value-driven SR5; top-of-the-line Limited, and a Trail grade for those who want maximum off-road capability. 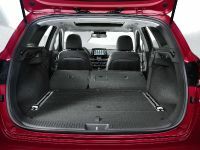 There is also an optional third-row seats on SR5 and Limited allow for up to seven-person capacity. 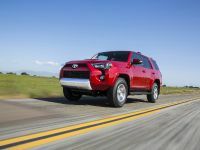 4Runner is also being offered with a choice of a rear wheel 4x2, part-time 4x4 or a full-time multi-mode 4x4 with a locking center differential. 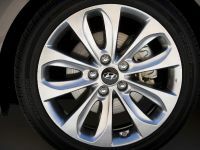 Regardless the type of wheel drive, all models are equipped with a powerful 4.0-liter V6 engine mated to a five-speed ECT-i automatic transmission. 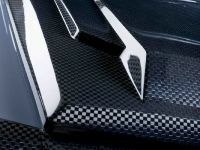 It generates 270 horsepower (200 kW). 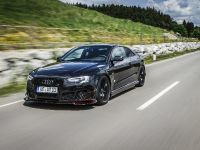 Some of the changes made here regarding the exterior feature a redesigned front fascia with a muscular front grille and edgier smoked headlamps. 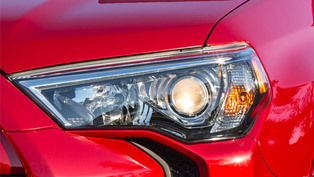 The SR5 and Trail grades include a color-keyed grille insert and front bumper that is surrounded by fog lamps set in sharply cut inlays that extend from the headlamps down to the bumper. On the other hand, the Trail grade is equipped with new color-keyed bumpers and overfenders, an aggressive hood scoop and silver painted front and rear bumper accents. All of the model grades come as a standard with a roof rack. 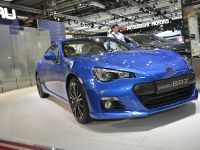 Limited's front design brings about more uniqueness, because it includes a chrome-plated grille insert and chrome front bumper that extends to the fog-lamp bezels. The side molding, roof rack and rear bumper are also chrome trimmed. In addition, the headlamps include now projector beam, and both the headlamps and the rear combination lamps come with LED lamps. Furthermore, the SR5 and Trail grades will run on 17-inch alloy wheels with a new wheel-design, while the Limited runs on 20-inch alloy wheels painted black. The exterior color choices available here are eight, namely: Super White, Attitude Black Metallic, Barcelona Red Metallic, Nautical Blue Metallic, Blizzard Pearl, Classic Silver Metallic, Magnetic Gray Metallic, and Black. Going forward to the interior – it complements the design cues seen in the exterior. Both the SR5 and Trail grade add standard Soft Touch door trim, and a leather-wrapped steering wheel and leather shift knob. SR5 trim comes with a bright and highly visible Optitron instrument panel on which can be found the speedometer, tachometer, voltage, fuel and coolant temperature gauges, plus a multi-information display that offers multiple functions. 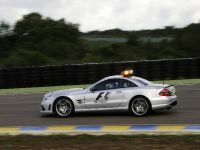 Another highlight is the Eco-Driving feedback system that monitors the fuel consumption in real time. A manually controlled air conditioning system is standard on SR5 and Trail grades; the Limited features an automatic dual-zone climate-control system. The SR5 and Trail grade include fabric-trimmed seating in Sand Beige, Graphite or Black color. 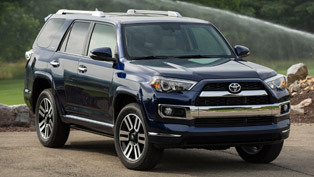 What is new for this fifth-generation 4Runner is that the SR5 adds a standard eight-way power driver seat, while the Limited comes with a leather-trimmed interior with new ventilated driver and front passenger seats in Sand Beige, Black and a new Redwood color. 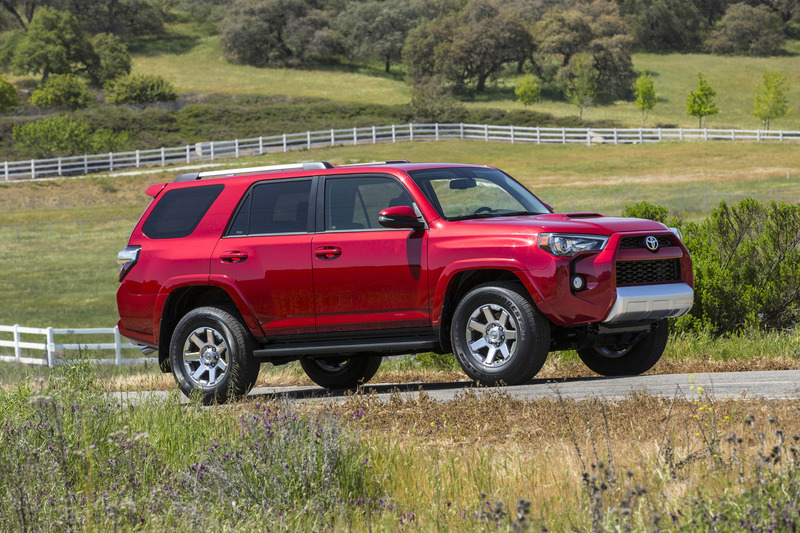 More importantly, 2014 4Runner is equipped with a 4.0-liter V6 unit, which develops 270 horsepower (200 kW) and 377 Nm (278 lb.-ft.) of torque. Dual independent Variable Valve Timing with intelligence (VVT-i) optimizes torque across the engine's operating range. The fuel economy is estimated around 17 mpg city and 23 mpg highway for 4x2 models, and 17 mpg city and 22 mpg highway for 4x4. Maximum towing capacity is 5,000 pounds and all vehicles include an integrated tow-hitch receiver and wiring harness as standard equipment. What is more, the 4Runner is constructed in such way that it balances its full off-road capability with smooth around-town handling. A double-wishbone independent front suspension and the variable-flow rack-and-pinion steering, help give the 4Runner the needed control on demanding roads. Coil springs over gas shocks are utilized at all four wheels in order to deliver more comfortable ride and controlled handling. The four-link rear suspension maximizes off-road axle articulation, and at the same time offers a smooth ride for rear-seat passengers on and off pavement. It is important to mention, that he Limited grade is equipped with an X-REAS suspension system. The latter enhances performance, comfort and control. It automatically adjusts the damping force of shocks when driving over bumpy surfaces or when cornering. The system uses a center control absorber to cross-link shocks on opposite corners of the vehicle, substantially reducing pitch and yaw by offsetting opposing inputs. On the other hand, the A-TRAC traction control system comes as a standard on all 4x4 models. This is the system which distributes the driving force to any one wheel in contact with the ground, making terrain. An electronic-locking rear differential is standard on the Trail grade. 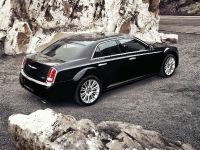 In addition, in this grade is also featured the optional Kinetic Dynamic Suspension System (KDSS). 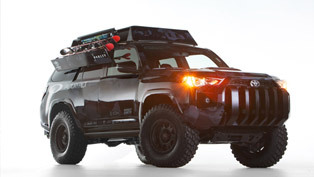 KDSS highly enhances terrain-following ability by dynamically disconnecting stabilizer bars to allow for more axle travel, and better suspension articulation in slow, difficult terrain. Toyota's Crawl Control (CRAWL) feature is standard on the same grade and it helps the vehicle maintain an appropriate speed to keep it under control and minimize the load on drivetrain and suspension components. The Trail grade also includes a Multi-Terrain Select system that dials in wheel-slip control to match the terrain. Standard on all models is the Hill-start Assist Control (HAC). 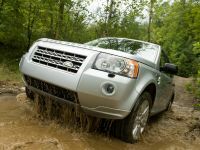 This technology provides additional control for off-road driving by helping to hold the vehicle stationary before starting on a steep incline or slippery surface. All 4Runner 4x4 models also include a standard Downhill Assist Control (DAC). In terms of technologies, new for 2014 on SR5 and Trail grade models is Entune™ Audio Plus. It includes Toyota's Entune multimedia system, an AM/FM/MP3 CD player with eight speakers, integrated SiriusXM™ Satellite Radio, USB port with iPod connectivity, and Bluetooth® hands-free phone capability and music streaming. On the other hand, standard on the Limited grade is the new Entune Premium JBL Audio system, which includes the Entune multimedia system, a JBL® premium sound system with navigation, SiriusXM Satellite Radio, HD Radio with iTunes®tagging and 15 speakers. The safety of the 2014 Toyota 4Runner is ensured firstly by the standard Star Safety System™. 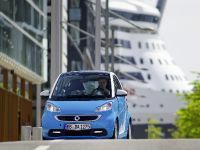 It includes Vehicle Stability Control (VSC) with traction control (TRAC), an Anti-lock Brake System (ABS) with Electronic Brake-force Distribution (EBD), Brake Assist (BA), and Smart Stop Technology (SST) brake-override system. On 4x2 vehicles is also featured the Auto LSD (Limited Slip Differential) system which allows better traction on slippery sections of roadway. 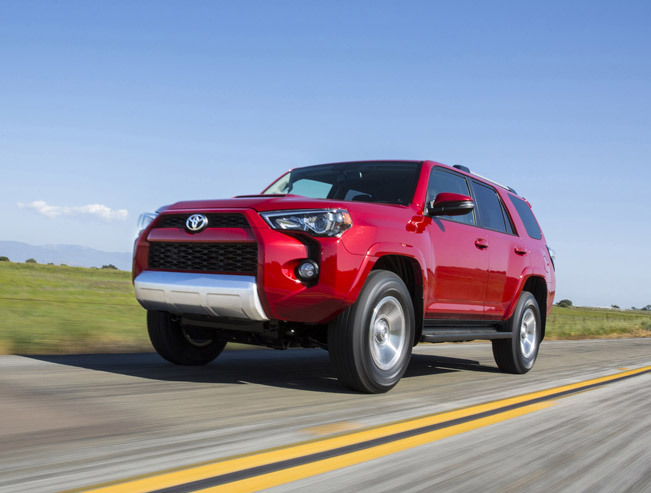 The four-wheel ABS with EBD provides the 4Runner with optimal brake proportioning. The safety features list also includes eight standard airbags (front, side-mounted, knee airbags, and side-curtain airbags), active headrests for driver and passenger, three-point seat belts for all seats. 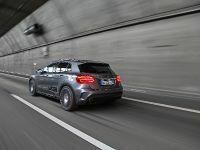 The Limited grade includes also the Safety Connect™ telematics system that comprises of the following components: Automatic Collision Notification, Stolen Vehicle Location, Emergency Assistance Button (SOS), and Roadside Assistance.